Message For Mother : Motherhood is one the most valuable and amazing thing in this world. A mother’s love can’t be compared. Every relationship has some unique way of adapting happiness, showing gratitude and taking care of. But a mother-daughter relationship or mother-son relationship is beyond everything. A mother sacrifices many things in life and does her best for her children. She takes care of her children with the greatest form of love in this world. Every mom deserves love, gratitude, and respect from her child. But in our busy lives, we often forgot to say “I love you mom”. 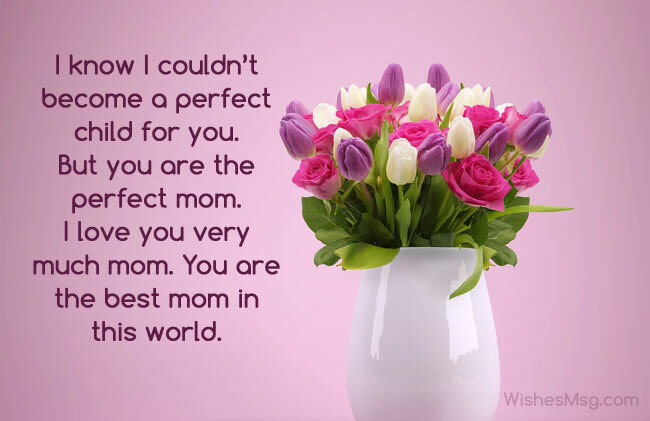 In reality, this simple sentence can give a heavenly feeling to any mom. So we are giving some unique and heartfelt message for mother to make them happy and feel special. 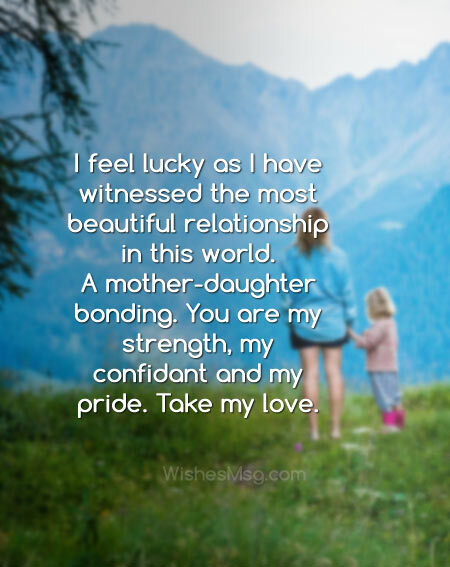 Write down your lovely feelings about your mom on a note or post a sweet message for mother on Facebook, Pinterest, Twitter or Instagram and say I love my mother now and forever. My dearest mommy, I love you very much. I can’t ever be enough thankful to you. You are the reason for my smile and happiness. Love you always! Mom, we live in the same house. We see each other every day. You are doing many things to make me happy. But I didn’t say a special sentence to you. Today I’m saying. I love you, mom. You start loving me before I was born. You gave up your sleep because of me. You didn’t eat your favorite food as I wanted to eat that. Today I want to say that I love you the most and thank you for your sacrifices ma. You are the best teacher in the world. You have taught me how to balance in life. You have taught me to stay positive all the time. Thank you mommy for everything. I love you. I have eaten in many restaurants. But I didn’t find any food tastier than your handmade food. You are the world’s greatest chef. I love you, mom. No one can be like you. I still can’t understand you. How can you know that I’m hungry? I always get food ready even if I don’t tell you. How do you know what I need? I get all the things I want. You are a magician mom. I love you. My most beautiful mom, I can never be like you. You are the most beautiful, smart, loving and intelligent person I have ever met. I love you so much, mom. I know I couldn’t become a perfect child for you. But you are the perfect mom. I love you very much mom. You are the best mom in this world. The bond between mother and daughter can’t be replaced with anything. Being your daughter is the best thing. You are the person who completes my life. I love you mommy. I’m an adult now. But I still feel like a little girl when I’m with you. I love you mama. You are the queen of my heart. People say I’m a beautiful lady. They don’t know I was born from the most beautiful lady in this world. I love you mom. Thank you for everything. Mommy, I’m really thankful to you as you have stood beside me all the time. When a girl has a strong mother like you then nothing can stop her. I love you mom and thanks for being my strength. Recently I have read that mother and daughter have only one heart. That’s why mother knows everything about her girl. Now I know how you can know everything before I tell you. Love you mom. I feel lucky as I have witnessed the most beautiful relationship in this world. A mother-daughter bonding. You are my strength, my confidant and my pride. Take my love. Without a mom, a girl can’t be raised properly. A daughter’s greatest treasure is her mother. You are my greatest asset mom. I love you. No one can be a better friend than a mother. Mother is the daughter’s first teacher, first love and best friend. I’m lucky to have a bestie like you. I adore you my mom. A mother is the greatest asset for a son. You are the most valuable thing in my life. It’s your sweet, cute, love and caring that my heart needs to beat. I love you very much mom. I miss you. Who says a mother and son can’t be the best friend? I still don’t feel relax till I tell you everything. Your touch and words are like medicine. I love you mommy. Mother, I’m not a perfect son. I hurt you, I may be rude to you sometimes. Sorry for my imperfections but I love you so much. I’m still your little boy. I want to be my mama’s boy forever. You are the person I can trust most and you are the love of my life. My adorable mama I love you. You are the most beautiful and amazing lady I have ever seen. And I feel proud that I have a mother like you. I love you so much mommy. I pray that God will make my dearest mom happy and keep her healthy all the time. I love you mom. 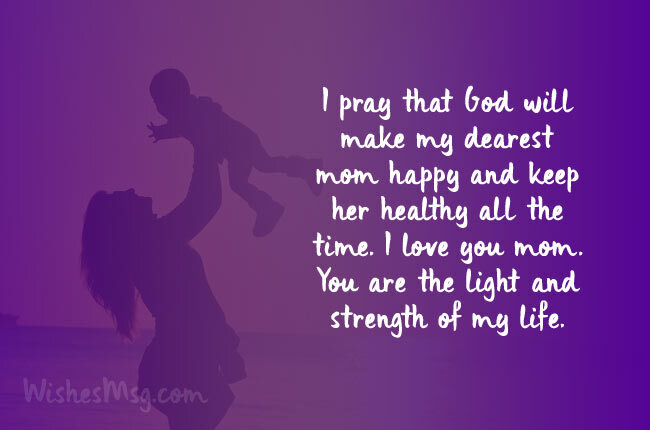 You are the light and strength of my life. Mommy thank you for everything. You have raised a son with the good manner and positive thoughts. Today I’m successful because of you. I love you. I’m very glad and blessed to have a mother like you. I love you the most. You are the apple of my eyes. Please always smile like this and be a happy lady all the time. 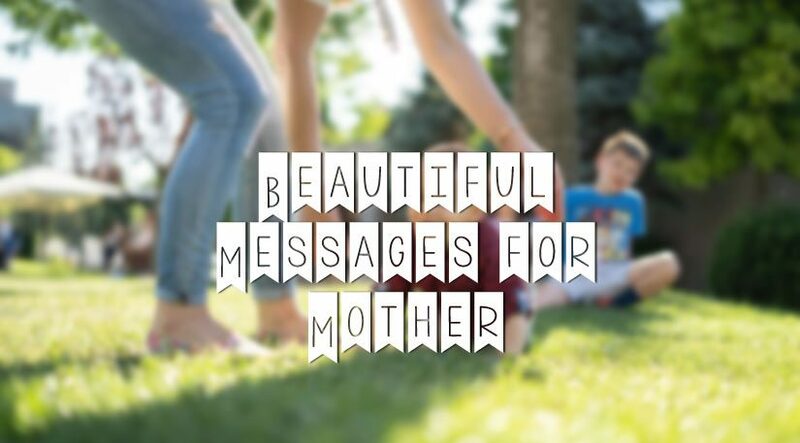 These message for mother will melt your mom’s heart. She will be happy having a love or thankful message from you. And when your mother is happy, the world will be yours. Keep mommies happy.